This book was written in a way that I loved. It was current (relatively speaking), researched, topical and clear. Songwriting and music production are my specialties, so I hungered to get through it. There simply aren’t enough detailed accounts of great songs married to great music production. The first couple of chapters worried me because I thought, I already know all of this stuff. However, I was thereafter schooled in tier-1 music industry practices and given some contextual stories which I either had no knowledge of or had only known the surfaces of. For example, in any industry, there are always specialists who are go-to people for particular needs. Even in the music industry in my hometown of Toronto, I know many folks who have one strength among broad musical skill sets. If I need a guitarist, who’s great at lead, who has great tone and a particular style of making melodies that I like, then that’s who I call instead of the general guitarist next door. Therefore, I shouldn’t have been surprised to learn that at the top 1% of the songwriting and music production world, there are top liners — people whose only role is to make a melodic hook on top of established chords, arrangements or beats. This, of course, can be disheartening if you thought that the two above artists wrote these songs for themselves. You would have had an unpleasant experience reading this book if you wanted to avoid truths about the whole manufactured music stars concept. The pursuit of song hits was outlined nicely. Successes and failures were found through top performing artists’ stories, such as Kelly Clarkson, Rihanna, Kesha, Britney Spears, Backstreet Boys and the very un-Western K-Pop phenomenon. They were highly enjoyable to uncover. The book’s ultimate essence, however, focused on names that would be less familiar to an average human: Denniz Pop, Dr. Luke, Max Martin or The Matrix. Such individuals or teams are key hit makers. It was enjoyable to get into their businesses and personalities. The original hit factory known as The Brill Building in New York City was discussed to give us some history and context. Hit making as an intentional group business practice has been around since the 1930s. A section was devoted to Spotify and its effect, which was far deeper than most of the opinion or statistics pieces I’ve read to date regarding streaming radio. It looked like the author got some of his info through personal experience and from articles published online. Everything was well documented and fairly low on speculation. My only criticism? A teeny one: The concept of digital compression was used so loosely or poorly that I might go so far as to say it was used incorrectly. 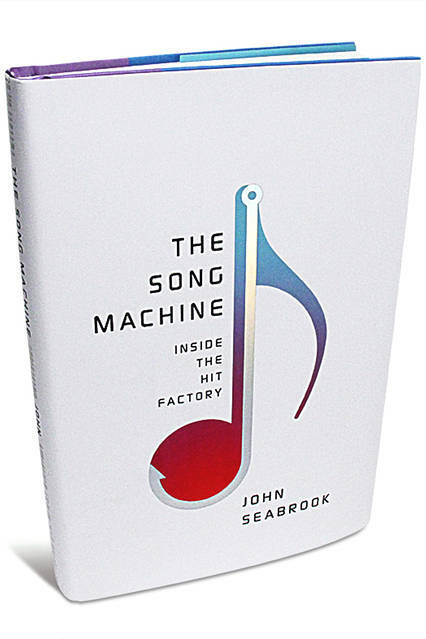 In general, a must-read for songwriters and music producers. It’s inspired me somewhat to up my game.